Virologist Leyi Wang joined the faculty of the Veterinary Diagnostic Laboratory in the summer of 2017. Within 18 months, he had brought two whole-genome sequencers—the lab’s first—on board. 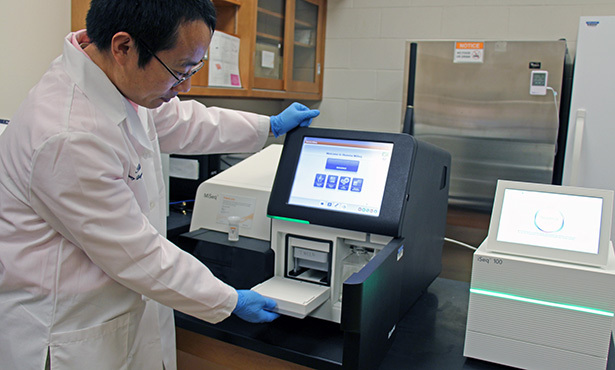 The combination of Dr. Wang’s expertise and the sequencers’ processing power opens a world of possibility for veterinarians, public health officials, and biomedical researchers, who can now incorporate genomic findings into their work rapidly and inexpensively. Technology around genome sequencing has advanced tremendously. According to estimates from the National Human Genome Research Institute, the cost of sequencing a human-sized genome dropped from $100,000,000 in 2001 to around $1,000 in 2017. “The affordability of this technology will enable veterinarians and others to screen more samples and detect pathogens involved in diseases, offering much more robust diagnostics than were possible through previous technologies, such as q/RT-PCR,” said Dr. Wang. Whole-genome sequencers are used routinely for investigations of food-borne outbreaks, to identify emerging and reemerging pathogens in animals and people, and to monitor variants and mutations within pathogens. The lab’s two sequencers, both made by Illumina, Inc., have distinct capabilities. The MiSeq, which arrived in January 2018 at a cost of $100,000, is a high-throughput sequencer that performs up to 25 million reads per run. The iSeq was funded through a grant from the Food and Drug Administration to Dr. Wang and arrived last October; it performs 4 million reads per run. Dr. Leyi Wang points out features of the feline calicivirus genome. This virus causes respiratory infection in cats. Every assay includes bioinformatic analysis tailored to the needs of the client. 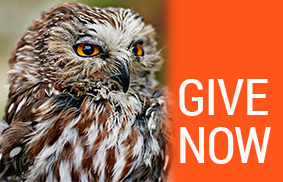 Specimens to be tested include cultured isolates, tissues, blood, feces and body fluids. For more information, contact the Veterinary Diagnostic Laboratory at (217) 333-1620 or vdloffice@vetmed.illinois.edu. 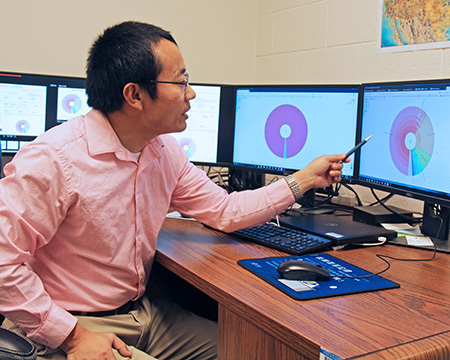 A diplomate of the American College of Veterinary Microbiologists with a virology specialty, Dr. Wang says he accepted the position at Illinois so that he could fully exercise his skills as a virologist. Previously he was part of the Animal Disease Diagnostic Laboratory at the Ohio Department of Agriculture. He earned his PhD from Ohio State University after completing veterinary and master’s degrees in his native China. Dr. Wang’s research interests center around diagnosis of viral infectious diseases and vaccine development. Over the past 11 years he has published more than 50 papers that explore disease agents impacting food animal populations, especially pigs, but also other populations, from sparrows, cats, and oysters to human cell lines. He is editor of the 2016 handbook Animal Coronaviruses.